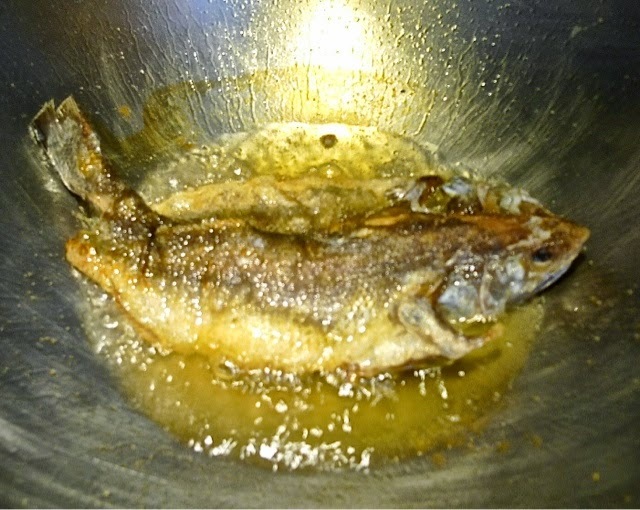 Check out How to Cook Deep Fried Fish Thai Style by Huang Kitchen on Snapguide. 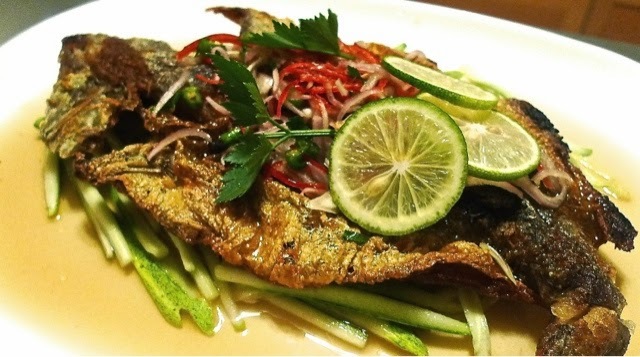 This recipe uses a whole fish, fried until crispy and then covered with a sweet, sour and spicy sauce made of sugar, kaffir lime juice, fish sauce and chilies. The crunch of the crispy skin is a wonderful contrast to the delicate flesh of the white fish within. Clean and wash fish, rinse and drained well. "Butterfly" the fish ( split fish using sharp knife ). Rub salt all over the fish. Coat fish with cornflour on both sides of fish ( inside of meat and outside of skin ). Deep fry in hot oil until golden brown and crispy. Dish out and drained on paper towel. Line shredded cucumber on a serving plate. Put the fried fish on top. Pour the sauce mixture over the fish. 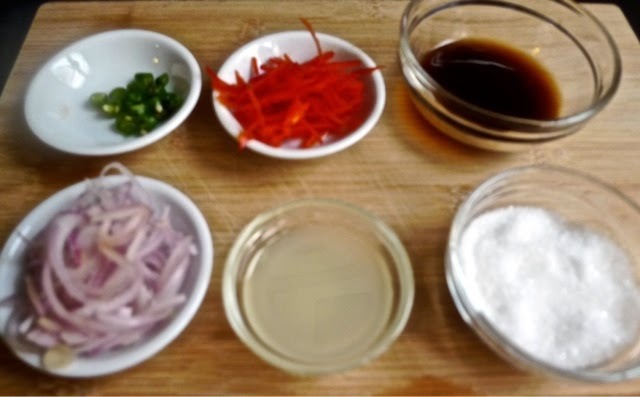 Garnish with slices of kaffir lime and coriander leaves. Serve immediately. First clean the fish. Wash and pat dry. Rub the whole fish with salt and cornflour. Deep fry fish on medium heat until crispy and golden brown, about 5 minutes on each side. When done, set the fish aside. 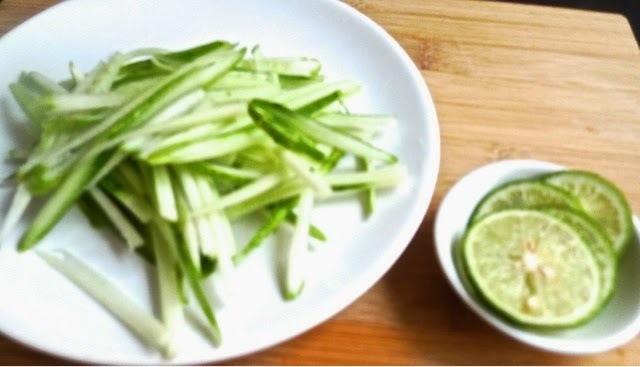 Cut a portion of kaffir lime into pieces and shred cucumber for garnishing. Line a plate with shredded cucumber. 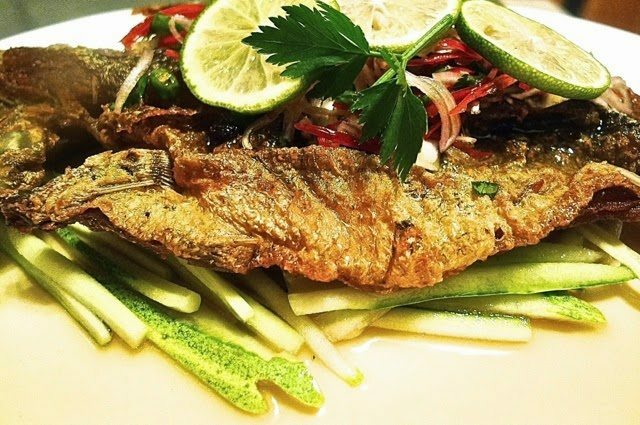 Top the cucumber with the fried fish. Then pour the sauce mixture over the fish. 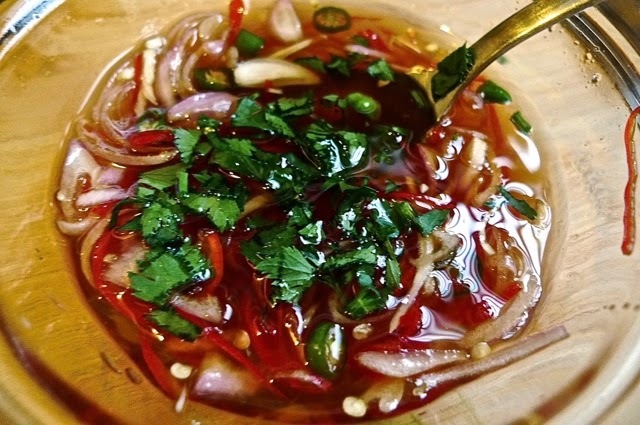 Garnish with some pieces of lime and coriander leaves.